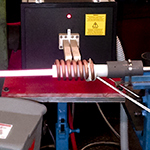 For more than 30 years CEIA has been manufacturing Inductive Heating Systems, achieving great experience in the field , and carrying out continuous R&D activities. The SA/80 Generators and Network Matching (Heating Head) hardware design combined with a state-of-the-art power and control electronics allow an extremely high conversion efficiency and therefore a high reliability and low operating costs. The embedded microprocessor control system is based on a wide feedback signals network, that allows a fine coil voltage and current control, and guarantees the consistency and accuracy of output power generation, suitable for highly repeatable production processes. All the CEIA Generators are equipped with an isolation transformer that separates the coil output from the power supply line guaranteeing a high level of operator safety. The SA/80 Generators adaption system to the load is fully automatic. The operator does not have to carry out any type of mechanical operation on the Generator or on the Heating Head. The Autolearn function provides a fully automatic process for selecting the best Generator parameters, maximizing conversion efficiency at each set point power. This reduces the set up time and associated costs. Furthermore, during operation, a continuous and real time automatic tracking of output matching is carried out in order to always meet the set point power even in case of workload condition changing. (i.e. heating temperature over curie point). This provides for the greatest possible efficiency during the entire heating cycle. The new SA Series Generators are therefore ideal for industrial production processes, where the maximum reliability, repeatability and output power accuracy are required together with wide load matching flexibility, fast set-up and low operation costs. A wide 7” high-resolution touch screen panel allows the operator to access programming function parameters quickly. The SA/80 series is equipped with integrated Data Log and Web Server system. 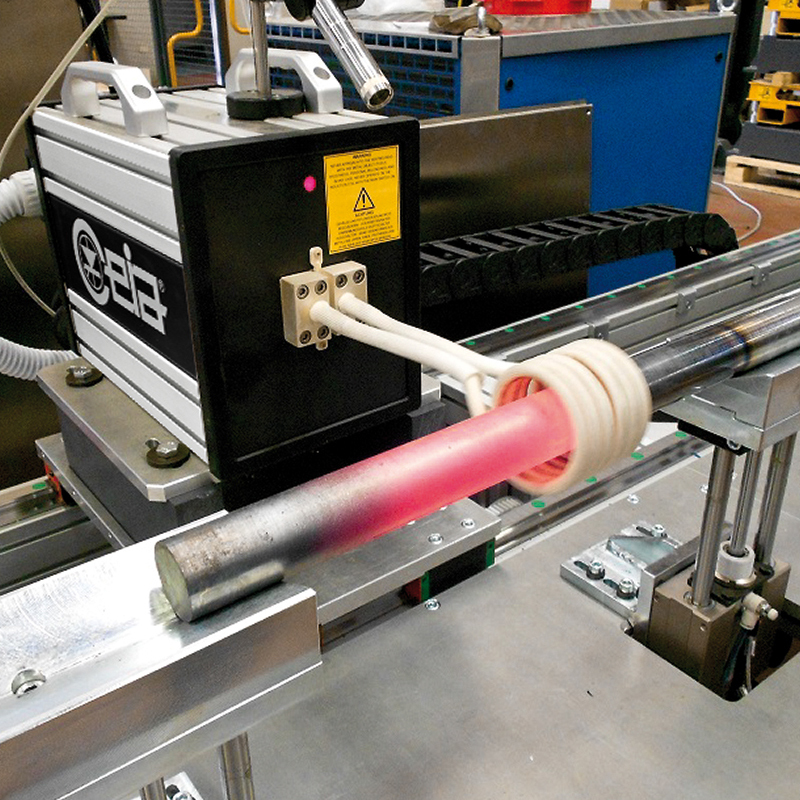 It is possible to perform automatic data storage, for a proper process quality control, monitoring heating temperatures, output power, frequency, voltage and inductor current. 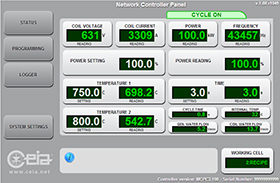 An Ethernet TCP/IP port allows access to the internal web server of the Generator for remote programming settings and interface with SCADA / DCS systems. The new Generators are excellent for all traditional heat treatment applications such as brazing, forging, annealing, and also for all continuous heating cycle applications, where accurate control of the process parameters and stable and constant output supply Generator power are required. Management of up to two independent zones of interest (ROI # 1 and ROI # 2). 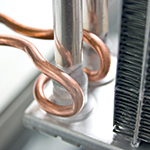 Cooling Water cooling system Direct off-take from mains at recommended pressure of approx. 4 bar (min. pressure 2 bar, max. pressure 6 bar). Generator: 2,5 liters per minute. 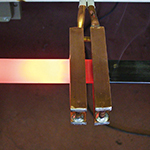 Heating head: from 3 to 10 liters per minute, depending on the coil used. Water temperature at inlet: from ambient temperature to 45°C (non condensing) Direct off-take from mains at recommended pressure of approx. 4 bar (min. pressure 2 bar, max. pressure 6 bar). Heating head: from 5 to 20 liters per minute, depending on the coil used. Water temperature at inlet: from ambient temperature to 45°C (non condensing) >Direct off-take from mains at recommended pressure of approx. 4 bar (min. pressure 2 bar, max. pressure 6 bar). 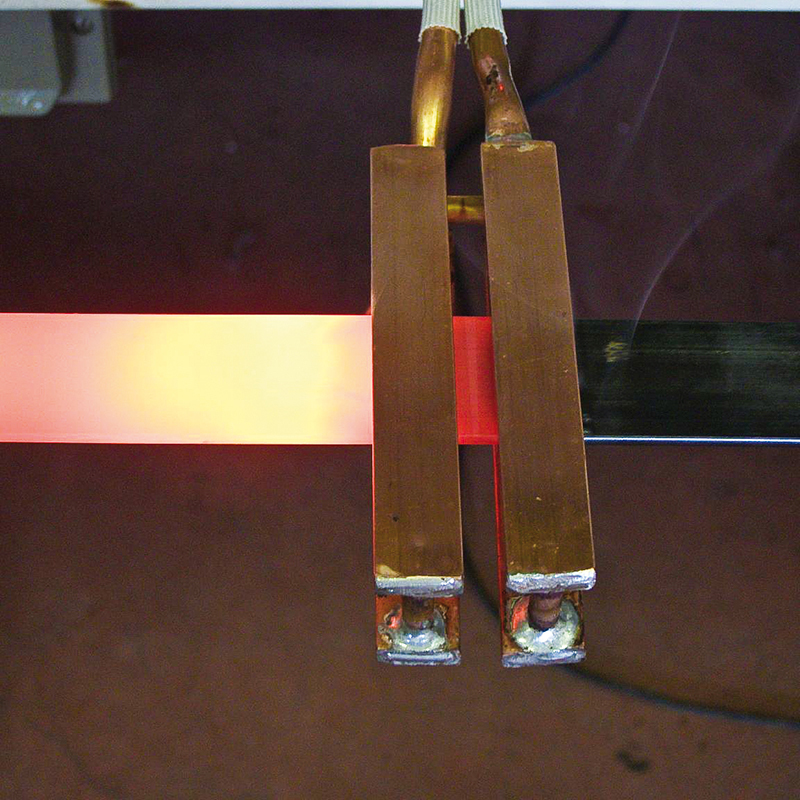 Heating head: from 8 to 25 liters per minute, depending on the coil used. Generator: 3 liters per minute. 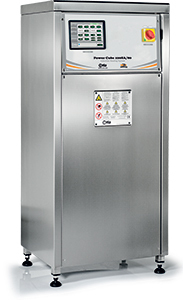 Heating head: from 8 to 30 liters per minute, depending on the coil used.